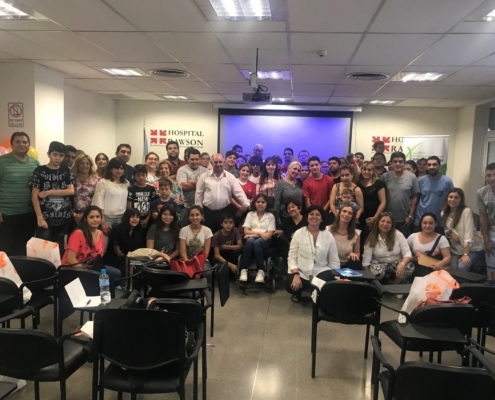 On Friday, December 7 at Dr Guillermo Rawson Hospital in San Juan, Argentina, the Asociación Ayuda al Paciente con Inmunodeficiencia Primaria (AAPIDP) carried out the First Interhospital Meeting of Immunology, coordinated by Dr Alejandra Lampugnani and Mrs Roberta A. de Pena. The meeting was aimed at General Practitioners (GPs), paediatricians, immunologists, rheumatologists, infectious diseases specialists, pneumonologists, haematologists, biochemists, nurses and medical students. 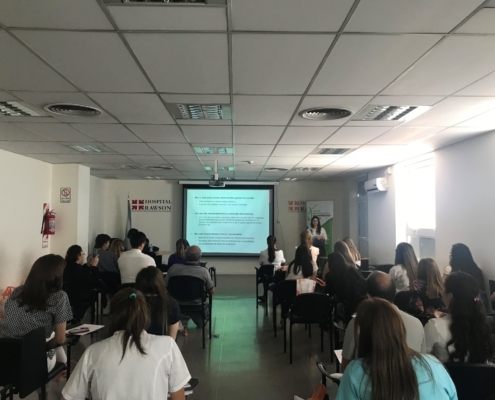 The lecturer on paediatrics was Dr Elma Nievas from Alexander Fleming Hospital, province of Mendoza, and the lecturer on adult care was Dr Leila Ferreyra from Posadas Hospital, Buenos Aires. They addressed the following topics: Primary Immunodeficiencies, much more than recurrent infections; Primary Immunodeficiencies in adults – signs of suspicion; Humoral Immunodeficiencies in children and adolescents; Presentation of clinical cases; Humoral Immunodeficiencies in adults; Autoimmunity in Primary Immunodeficiencies – is it feasible? How to treat them?. After all the presentations a lively Q&A session engaged all 50 attendees. Dr Alejandra Lampugnani and Mrs Roberta A. de Pena were in charge of the closure talk. The First Regional PID Patient meeting followed the medical session. Approximately 70 people were in attendance, not only from the capital of San Juan, but also from surrounding areas. Ms Fabiana Monteagudo, member of the AAPIDP board of directors, along with Ms Roberta A. de Pena and Mrs Marisa de Riveros, coordinator of the San Juan patient group, welcomed families and circulated membership forms of registration among participants. The president of AAPIDP spoke about the work of the association, since its inception and briefed participants about the rights of the patients, especially the certificate of disability and the new regulations on access to health. This allowed all to learn more about the problems and bureaucracy that some families face every day to access medication, as well as specific studies to confirm diagnosis. 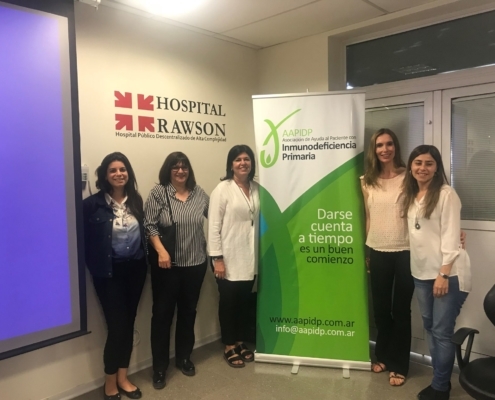 Finally, the professionals in charge, Dr Alejandra Lampugnani (San Juan), Dr Elma Nievas (Mendoza) and Dr Leila Ferreyra (Buenos Aires) answered questions from the families, simultaneously addressing topics related to personal care and family environment. This meeting gave us the possibility to hear testimonies from many of the patients, as well as from the parents, to get to know them better and identify their priorities and needs. 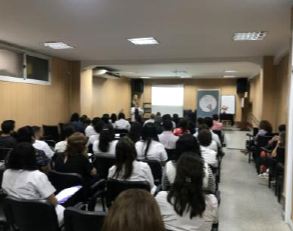 AAPIDP would like to thank the Board of Directors and the Paediatrics Department of the Dr Guillermo Rawson Hospital for the co-organisation, and to SHIRE for sponsorship both meetings. 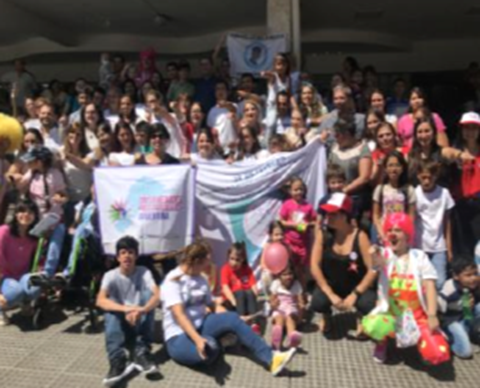 On February 28, in Tucumán, the 1st Conference on Rare Diseases and Congenital Anomalies was held with the aim of disseminating and updating information about these diseases to doctors and biochemists and inviting the population in general to join through recreational activities. Stands with educational information were also available. This was the first ever conference of this type in Norwest of Argentina and it was endorsed by the Ministry of Public Health and the Government of Tucumán. An awareness day meeting for PID patients and families was held back to back with the conference with the aim of raising awareness of patients’ rights regarding Access to Health. This dissertation was addressed by Mrs Roberta A. de Pena as president of AAPIDP. It was really a successful day, not only because of the quality of the speakers and the organization but also because of the issues addressed and the dissemination of these diseases considered rare or infrequent, in which several local graphic and TV media were present to helped increase the awareness of Primary Immunodeficiencies as well as other rare diseases.